The 21 most valuable career skills advance their practitioners through “know-how that pays off the most at work” in terms of promotions and raises, according to the June 2016 issue of MONEY. Co-authors Megan Leonhardt, Kerri Anne Renzulli and Cybele Weisser base their identification of the winning skills set upon collaborative research with the compensation data site PayScale.com. The list comes from analyses, carried out through the combined teamwork of MONEY and PayScale.com, of 15,000 job titles for 54 million employees in 350 industries. The analyses determine what skills from a set of 2,300 direct employees of similar age, experience, location and title toward career advancement and pay raise opportunities. Understanding statistical analysis systems (SAS) is the top-ranking ability. Keeping up with the “technological, economic, and social forces that are transforming so many industries” furnishes the common link behind the 21 most valuable career skills. Logistics-, marketing- and operations management-related data mining and search engine marketing join contract negotiation for business, finance and management in warranting 5.0 and 5.1 percent raises. Shaun ‏@shaunalger tweets that "Money Magazine 21 Most Valuable Career Skills" by @shaunalger on @LinkedIn"
In today's digital-first world, SAP (systems, applications and products) savvy translates into raises. Customer service analysis, financial analysis, sales of complex technology, software development, strategic planning, and strategic project management keep employees eligible for 4.0 to 4.9 percent raises. Business analysis, computer-aided design, forecasting, IT security, lean manufacturing patient education, and risk and systems, applications and products (SAP) management land 3.3 to 3.9 percent raises. 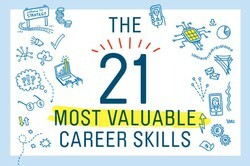 All of the 21 most valuable career skills merge to foster fluency in analyzing data, comprehending and predicting losses and profits, and fine-tuning field-specific information technology. Paul McDonald, Robert Half staffing firm senior executive director, notes a photographer’s advancement by understanding creativity and “the finances and budgeting of the entire” photo agency. Katie Bardaro, PayScale.com’s data analytics vice president, observes that Epic software-fluent health care and Workday-fluent human resources employees respectively earn 8.5 and 9.6 percent higher salaries. Project Management Institute credentials are conducive to pay raises. Savvy career development, guidance and planning ultimately turn around “understanding the business purpose” served by doing jobs well, according to David Hayes, Boston-area recruiter in Massachusetts. SAS (Statistical Analysis System) ranks first; New Business Development ranks 21st. Money reporter Megan Leonhardt co-authored "The 21 Most Valuable Career Skills Now" with Cybele Weisser, Money's contributing editor, and Kerri Anne Renzulli, Money's family finance reporter. Weisser, Cybele; Renzulli, Kerri Anne; and Leonhardt, Megan. June 2016. “The 21 Most Valuable Career Skills.” Money, Volume 45, Number 5, pp. 42-50. Money magazine's family finance reporter Kerri Anne Renzulli teamed with Cybele Weisser, Money's contributing editor, and Money reporter Megan Leonhardt to identify "The 21 Most Valuable Career Skills Now." 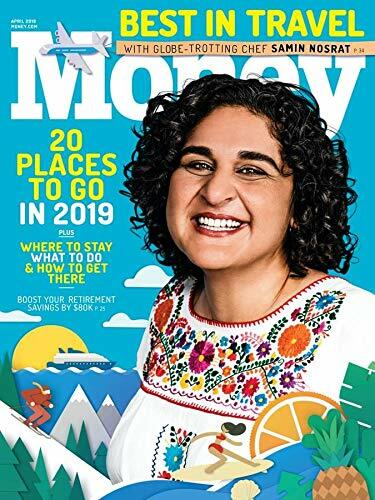 As the U.S.A.'s largest personal finance magazine, Money magazine aims to demystify money management, not just in investment portfolios, but in daily intersections of life and money (career, family, finances, health,home, spending, etc.). Derdriu, Thank you I will pass that along. katiem2, Thank you for stopping by and liking what you see. The apple doesn't fall far from the tree so your daughters have nature and nurture on their side ;-D. You have my best wishes personally and professionally for them and you. My daughter is going to a second interview today, it is 3 hours long. She has another second interview tomorrow, it is very interesting how the interview processes are now. She has graduated with two degrees, one in neuroscience and the other psychology. People say it is hard to get a job nowadays, but she was determined to get a job in her field, she has had many exciting prospects and I am confident she will chose between one of the two job offers she will no doubt be offered over the next few days. I remembered this blog and came back to review. It is a useful tool, thank you. I am convinced it is this resource that helped her become so marketable in her field and near landing a job in it without a few short months. katiem2, It's tough to get to the top and stay there, and from what I've seen it's exactly the way you put it. It's the one who juggles everything, from work ethic to people skills, since yes, it's clear who's "hardly working." I feel, been my experience, that the most effective people work all the tools, have good people skills, follow through and a good overall work ethic, work being the key word. It is obvious who works! sandyspider, Yes, that's exactly it! I've gotten back into magazine reading and found that magazines such as Garden Gate, Money, Real Simple and Yoga Journal have very helpful, practical insights on everything, from cutting down on clutter to progressing professionally. Often we don't realize our own skills and how to put it all together for that career. blackspanielgallery, Definitely! It's knowing what the employable skills are and knowing how to have them and show that you have them. Career skills can be very important when a person starts out, and also when career changes are needed. One must emphasize these in applying for a position.